Saint John Paul II was pope from 1978 to 2005, the second longest-serving pope in modern history. John Paul II has been credited with inspiring political change that not only led to the collapse of Communism in his native Poland and eventually all of Eastern Europe, but also in many countries ruled by dictators. John Paul II significantly improved the Catholic Church's relations with other major world religions, and upheld conservative Church's doctrine on various controversial matters. One of the most travelled world leaders in history, a key goal of his papacy was to transform and reposition the Catholic Church while remaining faithful to Church teachings. He is remembered and revered as a vocal advocate for human rights who used his influence to effect political change. Theodore Roosevelt, Jr. was an American statesman, author, explorer, soldier, naturalist, and reformer who served as the 26th President of the United States from 1901 to 1909. He became a driving force for the Progressive Era in the United States in the early 20th century. Born a sickly child with debilitating asthma, Roosevelt successfully overcame his health problems by embracing a strenuous lifestyle. He integrated his exuberant personality, vast range of interests, and world-famous achievements into a "cowboy" persona defined by robust masculinity. Following the assassination of President McKinley in September 1901, Roosevelt, at age 42, succeeded to the office, becoming the youngest United States President in history. Leading America into the Progressive Era, he championed his "Square Deal" domestic policies, promising the average citizen fairness, breaking trusts, and purifying food and drugs. Making conservation a top priority, he established a myriad of new national parks, forests, and monuments intended to preserve the nation's natural resources. Dwayne Johnson was 14 when he came home and found an eviction notice pinned to the door of the home where he lived with his mother. Just a week earlier, he'd witnessed his mother in tears when her car was repossessed; he had added to her burden by getting into fights and joining a theft ring that preyed on the most affluent stores in Waikiki, which often landed him in the hands of the police. As his mother scrambled for the work that would land them a new home, he resolved never to go through this again. He resolved to train his body to its maximum, eventually earning a college football scholarship. After injuries ended his football career, he found himself nearly broke, eating ramen noodles to survive, with a mere $7 to his name. Depression set in. Through hard work, perseverance, and the kind of discipline that most of us can only dream of mustering, The Rock finally found his calling in the theatricality and showmanship of professional wrestling and, eventually, acting. He channels his devotion to helping children through the Dwayne Johnson Rock Foundation, assisting in recovery and creating hope in the lives of children hospitalized for various medical conditions. He also supports the Make-A-Wish Foundation, as well as charities working towards an end to Parkinson’s Disease and AIDS. Emiliano Zapata, a leader of peasants and indigenous people during the Mexican revolution, was born a peasant and orphaned at the age of 17. A revolutionary from an early age, in 1897 he was arrested because he took part in a protest by the peasants of his village against the hacienda (plantation) that had appropriated their lands; his continued agitation of the peasantry resulted in him being drafted into the Mexican army. After the Mexican revolution began in 1910, Zapata raised an army of peasants in the southern state of Morelos under the slogan “Land and Liberty.” Demanding simple agrarian reforms, Zapata and his guerrilla farmers opposed the central Mexican government, redistributing land and aiding poor farmers within the territory under their control. On April 10, 1919, Zapata was ambushed and shot to death in Morelos by government forces, and is remembered as a visionary who fought for the poor and the oppressed. Favorite Quote: “Es mejor morir de pie que vivir de rodillas” (It is better to die on your feet than to live on your knees). The greatest songwriter of all time, Willie rose to prominence at the end of the 1960s and contributed to the "outlaw country" subgenre, which challenged the conservatism of Nashville. During his lengthy, award-winning career, he has written some of the most popular and memorable country songs of all time, many of which have been covered by a wide range of artists over the last half-century. Now in his 80s, Willie continues to record and tour, as well as devoting a considerable amount of time to various charitable, political and recreational causes. Despite his ascent to musical stardom, Willie never lost touch with his roots, and in 1985 helped organize the first Farm Aid concert, earning nearly $10 million to help family farmers keep their land. That organization has since earned tens of millions more for its cause. 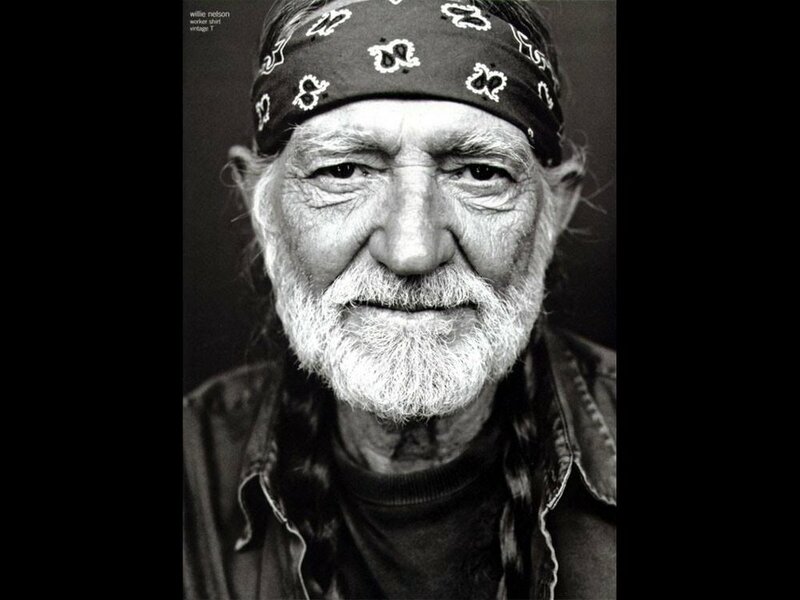 Now well into his 80s, Willie continues to tour regularly and release new albums. Over the years, he has collaborated with a wide range of recording artists, including Ray Charles, Norah Jones, Sheryl Crow, Wynton Marsalis, Keith Richards, and Snoop Dogg. Last on this list, but always first and foremost in my heart is my amazing wife. The things I love and admire about her and the ways in which she inspires me are too numerous to list. She is my rock, my inspiration, my everything. Favorite Quote: Anything she whispers in my ear.